As this article on LogoLounge suggests, the shift to smaller mobile screens is affecting logo design. Here, Bill Gardner shows how that development is affecting logo trends for 2014. Which of these trends do you think works best? That’s why your visual brand elements—your website, logo, social media tools, advertising, way-finding and marketing materials now play such an important role in building your brand. Within seconds of seeing any one of these, customers will decide to move deeper into your brand—or walk away. Today’s consumers have more sophisticated design tastes, and now expect good design in everything from their household items (as Target knows so well) to their vehicles—and everything in between. And they’re not just comparing you to your competitors, they’re comparing you to every other visual brand they encounter. That’s why your visual branding elements are so absolutely critical to business success. Does it represent the same quality that you deliver? How does it position you next to your competitors? What does it say about you? Competence? Innovation? Earth-friendliness? Trustworthy? Does it imply success—as though your company is running with the winners? Are the colors communicating the right attributes? Good visual branding draws on color theory to depict the kinds of feelings you want your brand to evoke. Is it consistently delivered at all key touch points—or does it vary in execution? Tired of answering inquiries about your brand standards? Sending logos internally? This online Graphic Identity Guide makes it simple by giving access—and guidelines—to users. 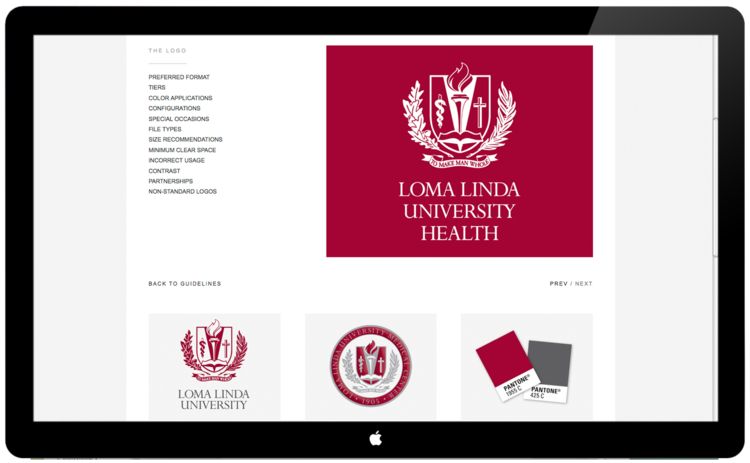 It not only saves labor costs, it preserves the brand’s visual integrity by ensuring that the most up-to-date resources are all in one place. 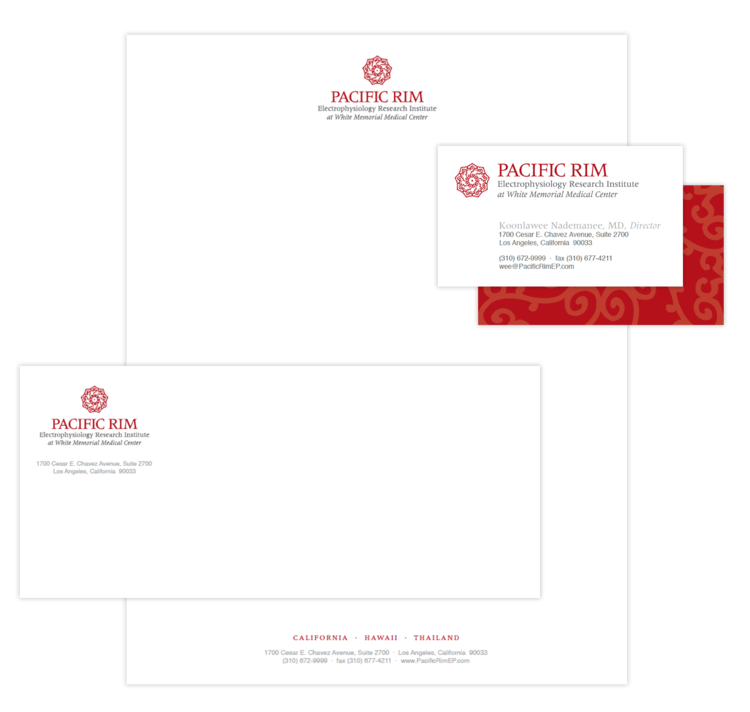 This Los Angeles-based electrophysiology research institute counts international dignitaries among its patients—and needed a logo and business package to help them create a first impression of their brand that lived up to their expertise. Using optimistic colors and an icon that suggests life and vitality, this visual brand was used to launch this new Colorado practice designed to bring relief to people in pain.